The first game of the Shootout for Soldiers pitted military veterans. A Stripes player put a spin move on a Stars opponent. ///ADDITIONAL INFORMATION: 0806.dpn.BenefitLAX Ð 7/31/15 Ð BILL ALKOFER, - ORANGE COUNTY REGISTER - Dana Hills High School was one of five sites nationally that hosted the "Shootout for Soldiers". The 24-hour event was a benefit that raised money for such military organizations as the Semper Fi Fund and the Wounded Warrior Project. Teams were broken up into "Stars" teams who wore blue jerseys and "Stripes" teams who wore red jerseys. Every player wore the same number "1776" . The event was comprised of 24 one-hour matches with a running score. 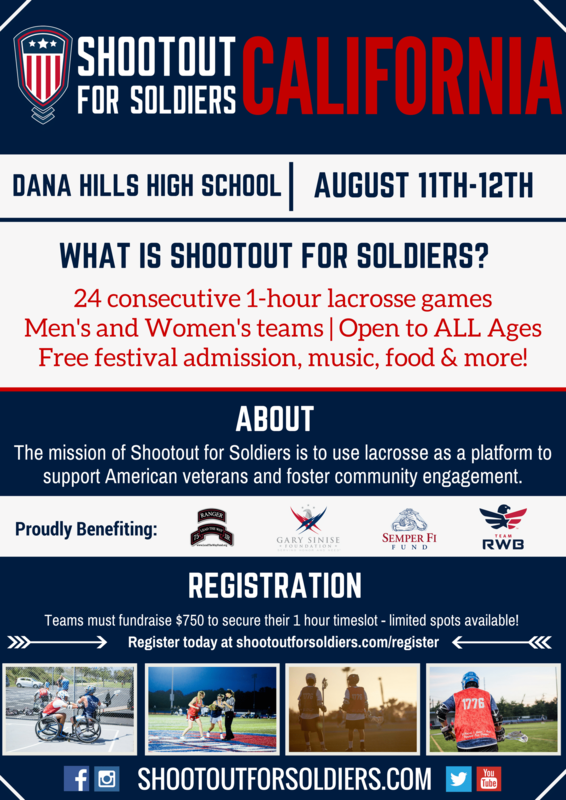 This weekend Shootout for Soldiers will return to Dana Hills High School for the third year in a row. In 2016, Shootout for Soldiers raised $34,013 and doubled in participation size from the birth of the California edition of the event in 2015. With $37,790.96 raised thus far, the 2017 Shootout for Soldiers has already eclipsed the donations total from last year. However, the tournament is still short of it’s $50,000 goal. To help achieve this goal, donate or register for the Shootout here. With over forty teams registered to play, the 24 hour event will consist of 24 separate one hour games. Following opening ceremonies, the events hallmark Veterans and Active Duty game will commence play at 7:00 p.m. From the first blow of the whistle, lacrosse will not cease to be played until the events final game featuring CDM versus the Shoutout for Soldiers San Diego squad culminates. Other noteworthy games include the Southern California Father/Son game which will be played on Sunday the 12th at 9:00 a.m., and the Victory SJC Alumni game slated for 5 p.m.
To volunteer for the event click here. 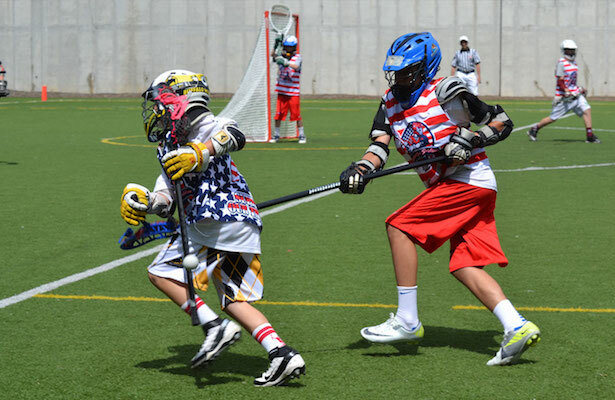 Shootout for Soldiers seeks to “use lacrosse as a platform to support American veterans and foster community engagement.” The Shootout for Soldiers charity aims to satisfy their mission through a three part strategy. Firstly, the charity educates by “sharing authentic first-person narratives from Veterans as well as curating learning resources and materials addressing the issues.” Shootout for Soldiers then engages “the civilian and military communities at the event to foster empathy and understanding. Additionally, they “foster online discussion and conversation to bridge the gap between a younger millennial generation and our Veterans.” Finally, Shootout for Soldiers amplifies “the work of leading non-profits in the space through funding their programs, projects and operations. Using an online platform “to develop and share authentic media addressing Veteran issues and topics.” Money raised by Shootout for Soldiers goes to benefit the Army Ranger Lead the Way Fund, the Gary Sinise Foundation, the Semper Fi Fund, and Team WRB.